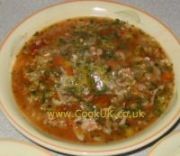 Use good quality Cumberland sausages in this recipe and you will have a soup that has a deliciously spicy flavour with lots of texture. Slow cooking brings out the amazing flavour of good quality Cumberland sausages far better than any other cooking method can. 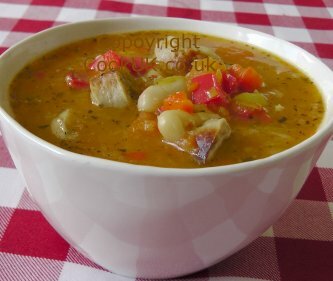 The white beans and other vegetables absorb this flavour, add to it and provide additional texture. It is quite possible to omit blending half the vegetables in a good processor but, in our opinion, the blended vegetables and the chopped ones provide exactly the correct texture for a soup. Use whatever beans you prefer, kidney beans instead of white cannellini beans are a good choice. Lentils can also be used instead of beans. To do this soup justice buy good quality Cumberland sausages. When sliced they will still retain their shape giving the soup an additional chunky texture. They will also spice up the soup in a way that no other cooking method does. Make sure you taste the soup before adding additional salt and pepper. The sausages by themselves will most likely be spicy enough on their own. 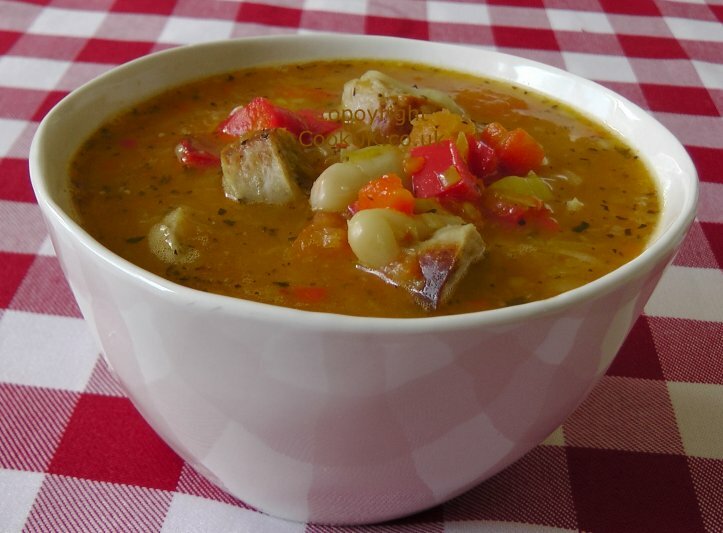 This slow cooked soup freezes exceptionally well but we do suggest that you use a microwave to reheat it. 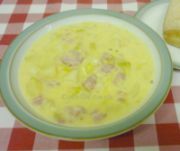 Re-heating normally in a pan is fine but a microwave preserves much more of the texture of this soup. Chop the red pepper in half and remove the seeds and pith. Slice the tomatoes in half. 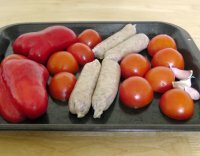 Arrange the red pepper, tomatoes, sausages and garlic cloves on a baking try and place under a medium heat grill for twelve minutes. Half way through turn the sausages so that they are browned on two sides. The red pepper and tomatoes will blacken slightly on the surface which is intended. Whilst the vegetables are grilling, top and tail the leeks then finely slice. 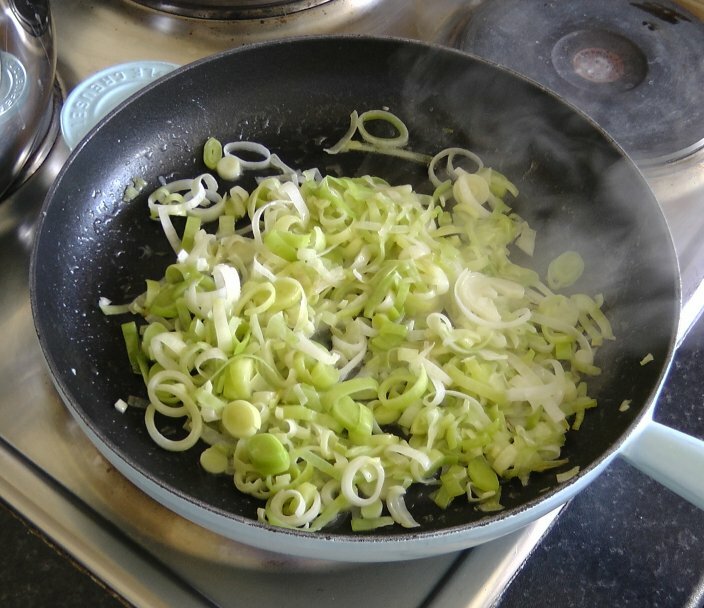 Add 50g /2oz or so of butter to a frying pan and then add the leeks. Fry them, turning frequently, for eight minutes. When the vegetables have finished grilling, pull off the skin off the tomatoes when they have cooled slightly. Squeeze the garlic from their skins. Chop up half the tomatoes and red pepper into small bits and place to one side with half of the leeks. Add the other half of the tomatoes, red peppers, leeks plus the garlic into a food blender. Whisk them round for a minute until liquidised. 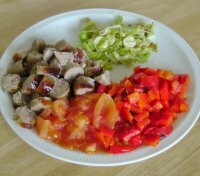 Slice the sausages into bite-sized chunks. Now place all the ingredients into your slow cooker on a high heat setting. Cook on the high heat setting for one hour then three more hours on the low setting. 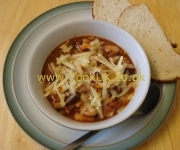 This recipe will give you four main meal soups when served with lots of chunky bread. 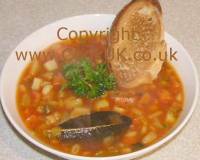 The soup is ideal for dunking the bread in - just the correct consistency!